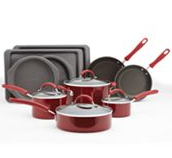 Kohls started their Cyber Monday deals early and has a great deal on 14 piece sets of Pots & Pans. 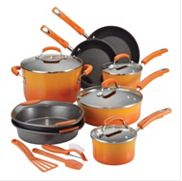 You can pick from Rachael Ray, Cuisinart or Kitchen Aid and get anyone of them for $64.99 after coupons and cash back. Use code CYBERWEEK to get 20% off any purchase. You’ll also earn $15 Kohls cash for every $50 you spend. Get Back: $15 in Kohls Cash — makes it $64.99! !